iGen, an intriguing book by Dr. Jean Twenge, was my spring break companion. Just as a good movie lingers in your brain, the content of this book continues to occupy my thoughts. Published in 2017, Twenge looks at the cultural shift of the generation born between 1995 and 2012, one she refers to as iGen. The names associated with the various generations, including Baby Boomers, Generation X and Millennials are familiar to all of us. Just as Baby Boomers can be distinguished from Generation X’ers, iGen’ers have their own characteristics, attitudes and beliefs that differentiate them from Millennials. Twenge’s extensive research, statistical analyses of data from four national databases (the pages are full of line graphs), and personal narratives over decades provide insights for those living or working with iGen’ers. And that’s most of us, including me. I raised Millennials, yet I’m interacting with and learning from iGen’ers every day. Although Twenge’s research is based on youth living in the United States, many of the generational shifts are emerging in other cultures. With a greater understanding of iGen’ers, we can provide the most appropriate and effective supports and guidance possible to ensure these young people thrive in school and in life. It’s a privilege working with these awesome kids and having a better understanding of their intricacies and uniqueness can help me be a more effective school leader. Below are some of Twenge’s findings that apply to the school and home context and have implications for educators and parents. And don’t worry, they are not all doom and gloom. 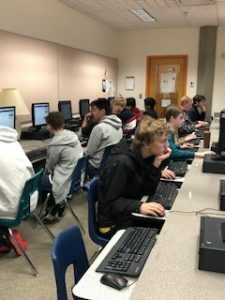 According to Twenge, “Today’s teens follow a slow life strategy, common in times and places where families have fewer children and cultivate each child longer and more intensely.” The iGen’ers are growing up slowly and becoming adults at a slower pace, not balking at their parents’ over-protection. Our youth have been raised to be concerned about their physical safety and they are taking this seriously. It makes sense that this kind of cautious upbringing would result in youth less likely to take risks. 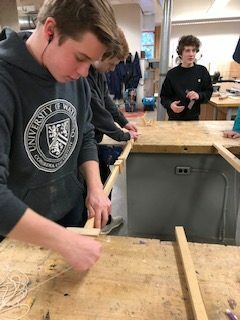 With an understanding that adolescence nowadays is more of an extension of childhood rather than the beginning of adulthood, I have been contemplating how that may impact students’ post-secondary decisions and experiences. I know of several students who ventured away from Vancouver to attend university who are now returning home after one year to complete their schooling locally. When speaking with them, they shared that they really liked their studies, yet missed their family and friends. Parents know and understand their children better than anyone. Taking a gap year or continuing their education closer to home may be a more suitable option for some less resilient iGen’ers. On the other hand, many graduates are prepared to leave the security of home to study afar. By exploring a variety of post-secondary options, families can make decisions that meet their adolescent’s unique needs and set them up for happiness and success. Interestingly, Twenge’s findings indicate that iGen’ers don’t want to be entrepreneurs and are less likely to want to be self-employed. Perhaps having an entrepreneurial spirit is synonymous with risk-taking and we know from Twenge that young people are not very keen on taking risks. They are not as overconfident as Millennials and have a stronger work ethic, yet they tend to be anxious and uncertain. They fear making mistakes and are less confident when making presentations. At a recent Principals’ meeting, we had a presentation from Bill Roche of Power Play Young Entrepreneurs. This is a program aimed at preparing students in Grades 4 through 8 for the future. Students focus on their own skills and build on these to actively develop their competencies, all the while having the freedom to make mistakes. Students come up with an idea, create a business plan and create a product. Roche reported the program makes a positive difference in a student’s growth mindset by 11%. 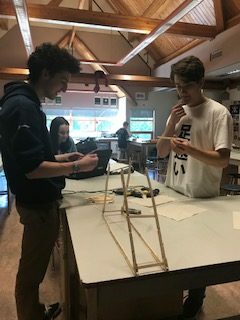 With Twenge’s research still swirling in my brain, programs like this that align with the BC Applied Design, Skills, and Technologies (ADST) curriculum which promote the development of problem-solving skills and foster students’ natural curiosity, are perhaps what iGen’ers need to develop confidence and overcome their fear of failure. For most of their lives, iGen’ers have been communicating with brief clips of information and not lengthy text. They are used to communicating visually rather than with words, using Instagram and Snapchat. They communicate using emojis, images and video clips. Reading lengthy text passages and writing long essays and reports can be a challenge for iGen’ers. We have to recognize that challenge and consider adjusting our expectations accordingly. Their attention spans are shorter than those in previous generations and consequently educators chunk their lessons, provide breaks, and offer self-regulating tools to help their students focus. Although iGen’ers are the physically safest, Twenge’s research indicates they are the most mentally fragile. They may appear happy online but this isn’t always the reality. Their primary social activity is often staring at a screen that can like them or reject them. iGen’ers are reporting less life satisfaction. They spend less time with their friends in person and feel left out and inadequate. More teens also report that they fail to get enough sleep which has been linked to depression and anxiety. These findings are corroborated with results from surveys completed by youth in British Columbia. The McCreary Adolescent Health Survey results indicate a rise in the percentage of girls reporting anxiety (13% to 29%) from 2014 to 2018. They are not making friends or connecting with adults which is impacting their social-emotional development. We need to continue encouraging students to get involved in clubs and activities where they interact with others face to face and remind them to put their phone away when going to sleep. In last year’s Student Learning Survey administered to all students in Gr. 4, 7, 10, and 12 throughout the province, one-third of grade 10 and 12 students in our district’s secondary schools reported that they rarely get a good night’s sleep. This finding aligns with Twenge’s research. 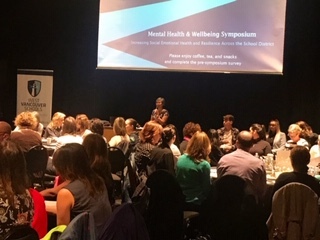 Our district recently held a Mental Health and Well-being Symposium in partnership with our community health partners. Facilitated by District Principal Maureen Lee, it was a powerful day, with students, parents, educators and health practitioners learning together. Events like these help us better understand and address the concerns related to students’ mental health and well-being. 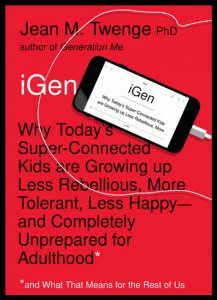 Reading iGen reminded me how context is so influential in shaping one’s actions and sense of self. At times I find myself comparing today’s students to my own three Millennial children and even to my personal experiences as an adolescent. These comparisons aren’t particularly valid. I realize that by adjusting the lens through which I view and judge students’ actions to one based on context, I can better support them on their pathway to be the amazing adults that I am confident they will become – in their own time and in their own way.